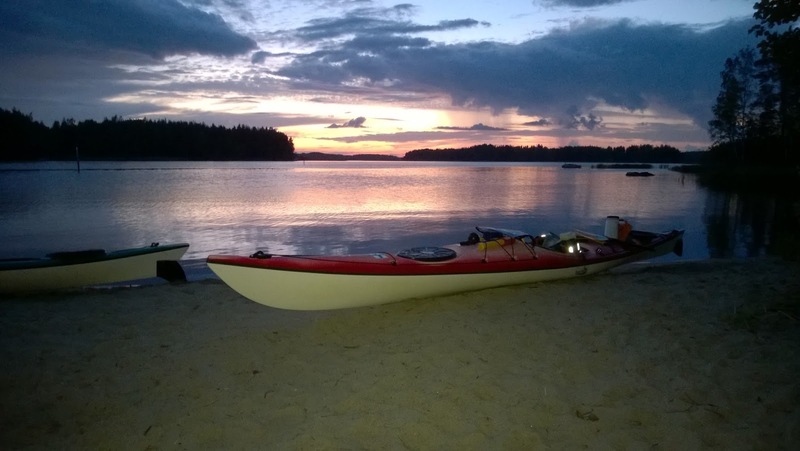 After two weeks Vuoksennauha paddling continued from Joensuu. 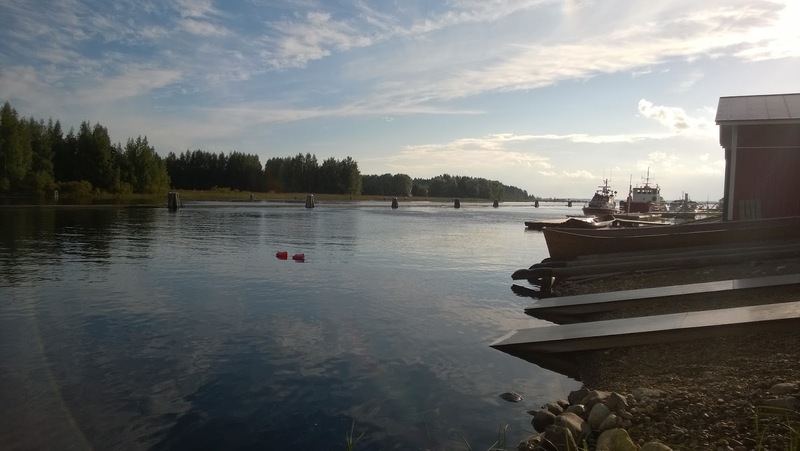 Our kayaks were at Joensuun kauhojat - paddling club's premises and after 5 PM on Tuesday 23.8 we were packing the kayaks again. Because sun was setting already 8:30 PM we had only three and half hours paddling time. Roughly at 9 PM we landed on Tikansaari - island and had pleasant night at tent. 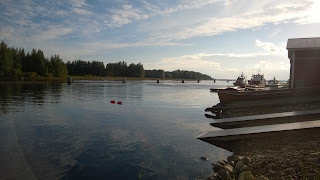 The paddling route of the fifth day can be seen here.